Get the hunk of junk off of your property? 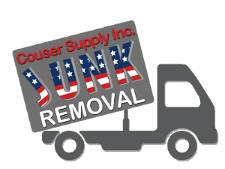 The team at Couser Hauling in Rockville, Maryland, hauls your junk to the dump by providing junk removal. We help you get control over the clutter. As a family-owned-and-operated business, we proudly serve families, business owners, and contractors in the greater area. Simply pick up the phone for more information and to receive a free quote from one of our friendly representatives. It takes time to collect your junk, load it on your truck, and take it to the dump. 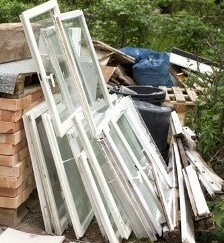 Do you really want to spend your day and your energy on junk removal? We offer convenient scheduling and same-day services at affordable rates. Armed with a professional team and fleet of trucks, we ensure every job is done right and to your satisfaction. Don’t let a little or a lot of junk clutter your life. Instead, turn to our team for immediate junk removal. Where’s your junk? In the yard, in the attic, or tucked away somewhere else? There’s no need to put it out on the road for us. We’ll get it for you. This makes your job easy. Simple point us in the direction, and we’ll haul it away for you. In fact, we can even help with demolition if that becomes necessary. Best of all, our prices are affordable. That’s because our family cares about your family and your business. We have operated our family-owned company for many years, and we pride ourselves on our competitively priced services. Our team specializes in solid waste removal and has the ability to handle all of your trash disposal needs. Contact us for fast and convenient junk removal services that cater to your schedule. We proudly serve residential and commercial customers in Rockville, Maryland.